I was born in the Bronx. I lived in Brooklyn for a short while (Best time of my life then) before moving to Eastern Long Island, New York. There I went to school and ultimately graduated in 2005. I attended Alabama Agricultural & Mechanical University where I obtained a dual degree in two STEM fields. During that time, I began building an Amway business with the fervent intention of creating wealth. After acheiving some benchmarks, I experienced a loss to my business, which set a path in motion that I avoided for the next seven years. Even with my greatest efforts, I could not retain more than a basic foundation. During the last three years in my Amway business, I moved to three different states and I moved twice in two of the states. I was experiencing extreme instability at the time and there was not anyone to assist. I was only expected to perform. The expectation was normal however, therefore I continued as normal. Then everything came to a screeching halt. I was moved half way across the country and laid off 8 months after. Wait, that’s not the kicker. The kicker is that I was locked in a two year binding contract that I signed before moving. The contract however, only prevented me from finding new employment within two years. Clearly, it didn’t hold the company liable whatsoever. There’s more to that story, but you’ll have to read the book to get the rest ;-). After working in corporate america and being diverted professionally and personally, I decided to take back control of my life. Music being my first passion I decided to pursue the music industry to fulfill missing parts of my life. Why not? I spent years, dollars, and being up to my neck in student loan debt only to feel inadequate and incapable…and seeing “The Glass Ceiling” before I even got there. It was time to do things differently. Doesn’t mean that story is over…just means I’m starting. I have been involved in the arts for nearly my entire life. Growing up, I starred in plays, including The Judgement Seat, and The Salesman. I was a dancer and fashion model for Eastern Star Five Point Tea Fashion Showcases. I starred as William Hooper Councill’s Mother and The Mother of the Church in the Alabama Agricultural & Mechanical University Founder’s Day Play “From Slavery To Sovereignty”. I performed as a dancer at corporate business and religious events, participated in choirs, and been choreographer for youth liturgy. I have completed solo and collaborative music projects. As a side-note, I also won second place for Best In Faifrax Chilli Competition…super spicy! Realizing that I am a creator and an entrepreneur at heart; that I love being a creator and being around people who create beautiful art, I embarked upon the journey to bring life and positivity into art. Really, it was only a matter of time before it all came together, and now it is. 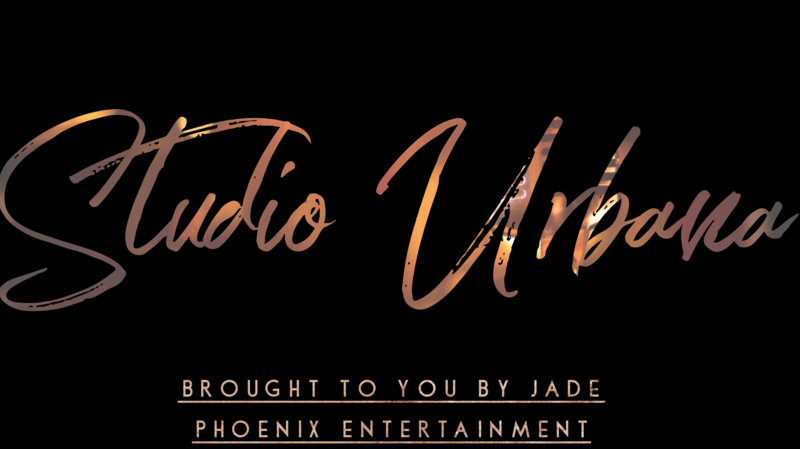 As CEO OF Jade Phoenix Entertainment, LLC, creator of Soul Of The City, and founder Studio Urbana, I have gained insight to the positive impact I can bring to the arts and the community. Even more excitingly, this only the beginning of the plans I have for you & I. I am excited for you to come join the ride!